BROKERAGE BOAT! 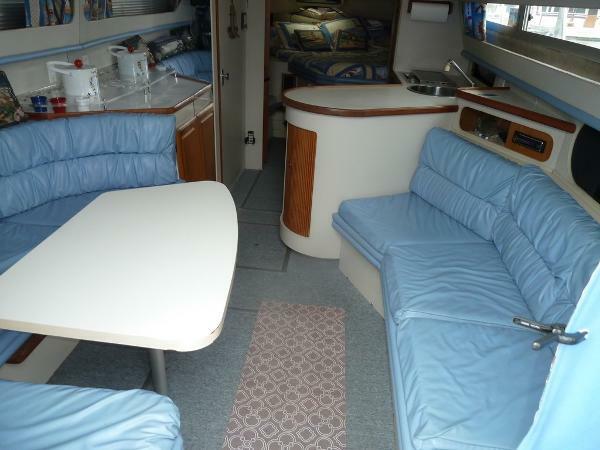 1990 Carver 30 Santego Air/Heat, Bimini Top, Beautiful Interior! BROKERAGE BOAT! 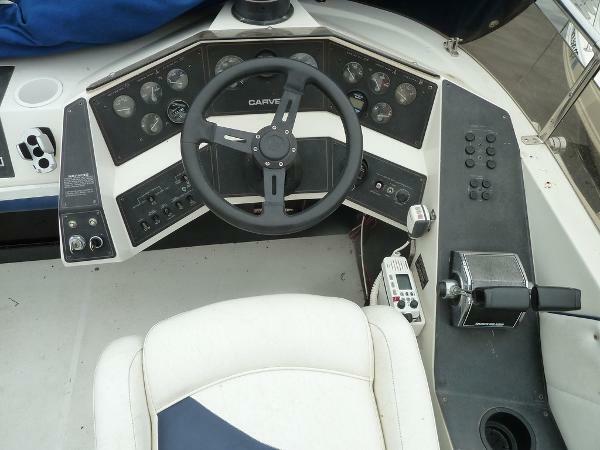 Very nice looking Carver 30 Santego! The Santego is sure to impress with the room on board, the generous 11 foot beam really opens the interior space and offers opposing seating and a enlarged galley counter top making this 30 foot cruiser a wonderful boat for entertaining. The single level cabin with generous head room makes this boat feel much larger than most 30 foot boats. The forward stateroom is spacious and storage is plentiful through out the boat. 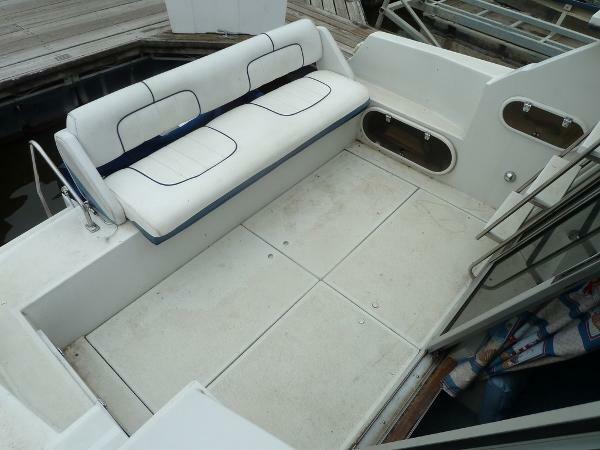 This boat should make for comfortable overnight stays with Marine Air Conditioning/ Heat, Refrigerator, Stove, Hot & cold Water System, Electric Flush Head, Full Bridge Canvas Enclosure and much more! Powered by twin 5.7L / 250 HP MerCruisers with Alpha Drives, this should be a great package for overall power, reliability and fuel economy for a boat weighing in just over 11,000 lbs! This Boat is off location. 30 Carver Equipment List TV Compass Depth Finder Horn VHF Radio Trim Tabs 110 volt Refrigerator Electric Stove Water heater Air Conditioning/Heat Transom Shower Battery Charger Bilge Blower Bilge Pump Dockside Power with Cord Bimini Top with Enclosures Bridge Cover Fire Ext Life Jackets Anchor Fenders Mooring lines Bottom Paint The Company offers the details of this vessel in good faith but cannot guarantee or warrant the accuracy of this information nor warrant the condition of the vessel. A buyer should instruct his agents, or his surveyors, to investigate such details as the buyer desires validated. This vessel is offered subject to prior sale, price change, or withdrawal without notice.